Properties in Aramits average 4.7 out of 5 stars. Gite house bergerie mountain Free wifi internet for 2 to 5 pers. Property 6: Gite house bergerie mountain Free wifi internet for 2 to 5 pers. Property 21: Fully renovated Medieval water mill, fishing for trout from the terrace. 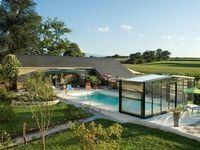 STONE BRIDGE GITE - 1 TO 4 PEOPLE Ranked 3 * by AP label FISHING GÎTE. 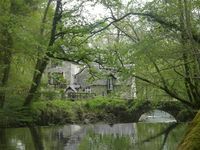 Property 32: STONE BRIDGE GITE - 1 TO 4 PEOPLE Ranked 3 * by AP label FISHING GÎTE. Holiday cottage 2 to 8 people Exceptional view. Property 40: Holiday cottage 2 to 8 people Exceptional view.